This is one of the simple way to display the list of events using calendar icon. This also use to display the event description on hover the calendar icon. 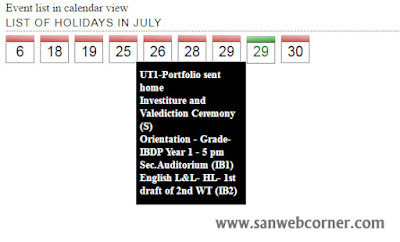 It is very useful to display the list of holidays and events in calendar type instead of displaying in the text format. and also description in the format of hover the particular calendar.